Data center outsourcing has really cemented itself all over the planet as a viable alternative to the demands of building and managing an in-house data center facility. Recent research results bear this out quite clearly. A study undertaken by a reputable firm last month predicts that the global market for colocation data center services should grow from $30.9 billion in 2016 to approximately $54.8 billion by 2020. Obviously there are factors driving organizations to outsource their data centers to professional colocation partners, but what are those factors exactly? Here at 4GoodHosting, we understand that part of being a Canadian web hosting provider at the forefront of the industry means being receptive and adaptive to trends in web hosting. This is certainly one of them, and it thus hasn’t gone unnoticed here. We think it’s one that may be helpful for those with big data accommodation needs of their own and a need to understand where they’ll get the most bang for their buck. Getting back to that study, the Americas as a segment is expected to grow from nearly $16.8 billion in 2016 to $26.4 billion by 2020, with the period of 2016 to 2020 seeing in the vicinity of a 12% cumulative annual growth rate. Asia-Pacific is expected to grow from $5.4 billion in 2016 to $13.2 billion by 2020, at a much higher CAGR of 25.0% for the same time period (2016-2020). Not surprisingly, cost has always been a big factor behind data center outsourcing and it will remain a key element driving the outsourcing of data centers to colocation providers. We also have the fact that customers are concentrating more and more on the value of the colocation services being provided, as well as the appeal of being able to reduce certain risks. CIOs for some time now have been under constant pressure to reduce all costs associated with IT operations, and – again not surprisingly – running an in-house data center is decidedly expensive. There’s not getting around it. The level of investment required to deploy and maintain modern, energy-efficient data center infrastructure is substantial, and therefore colocating IT infrastructure in a professionally managed data center facilities is an attractive cost-saving alternative. Cloud services have grown massively in popularity over recent years. Public cloud providers like Amazon AWS, Google Cloud Platform, Microsoft Azure, IBM Cloud and Alibaba Cloud continue to be very much in demand, and that’s in large part because the public cloud offers real flexibility and is a fantastic resource for enterprises and others with dynamic IT operations. Tempering expectations somewhat, it’s quite clear that the majority of users will still need a combination of in-house IT and (public) cloud providers. 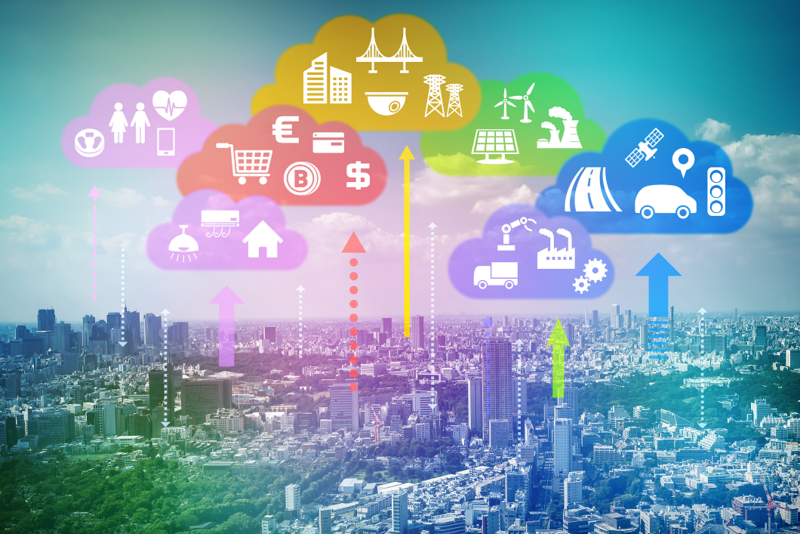 Connectivity towards those cloud providers is going to be a primary priority for enterprise-grade business operations. Further, outsourcing in-house data center infrastructure to the right colocation data center also works out to mean better access to high speeds and reliable connectivity. The cloud-enabled connectivity providers located in colocation data centers tend to offer high levels of performance, reliability and scalability, all at a more attractive price point in comparison to in-house data center operations. Those same CIOs also need to comply with a host of government and market regulations these days, including PCI-DSS, ISAE, and others. Having sufficiently knowledgeable staff with the needed skills and compliance expertise can be a real challenge, but a good number of the colocation data center providers operating on a worldwide level have been 3rd party audited and / or regulatory certified to confirm their ability to comply. Been told it is difficult to access your in-house data center? Not uncommon at all. 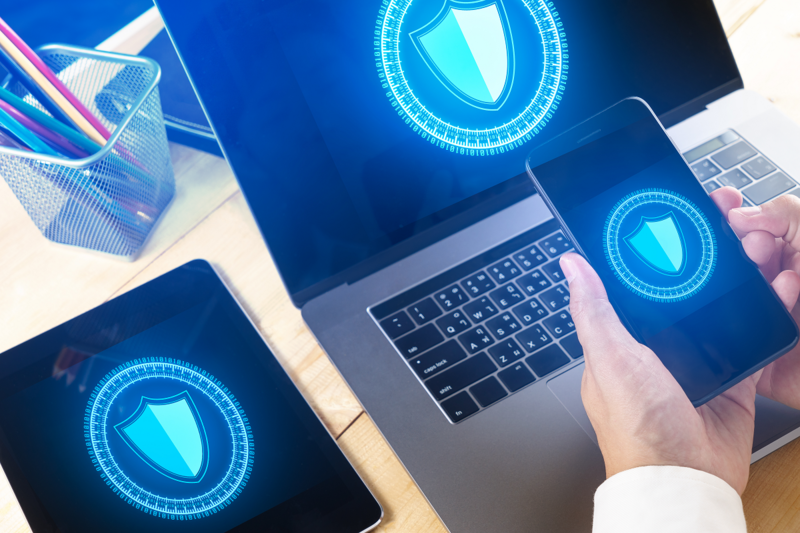 Colocation data center providers are often able to offer advanced security layers that match the latest security and compliance requirements. Notable among these security measures are biometric scanning, video surveillance, alarm systems, mantraps, and personnel onsite 24/7. In short, organizations are more thoroughly equipped to secure their company data. Which, more often than not, is their most valuable asset. With an in-house data center, companies may fail to be able to respond to changing capacity requirements, and this might restrict or even hamper organizational goals. Outsourcing data center operations to a colocation provider who has all the ample floor space to grow and be flexible in their contracts lets you manage your data center operations dynamically and the easily scale your operations up and down as dictated. Running a modern, energy-efficient data center with low Power Usage Effectiveness (PUE) figures is more of a challenge all the time. A little more than a decade ago one could operate a data center without much in the way of to-do or must have. Get yourself a hall, some racks, and power and compressor cooling and you were pretty much good to go. Nowadays, data center operators are all pioneering to get the lowest and most energy-efficient PUE-levels, as the cost of current has become a forefront consideration for data center operations. Modular deployments to keep things flexible and cloud-enabled are more important now too. Long story short – companies outsourcing their data center services may benefit from having access to more sophisticated data center infrastructure than their budgets would allow otherwise. Lastly, it’s natural that CIOs like to free up IT staff and lower their in-house data center costs by outsourcing core data center operations to external data centers as well as cloud providers. Data centre outages can be painfully costly. 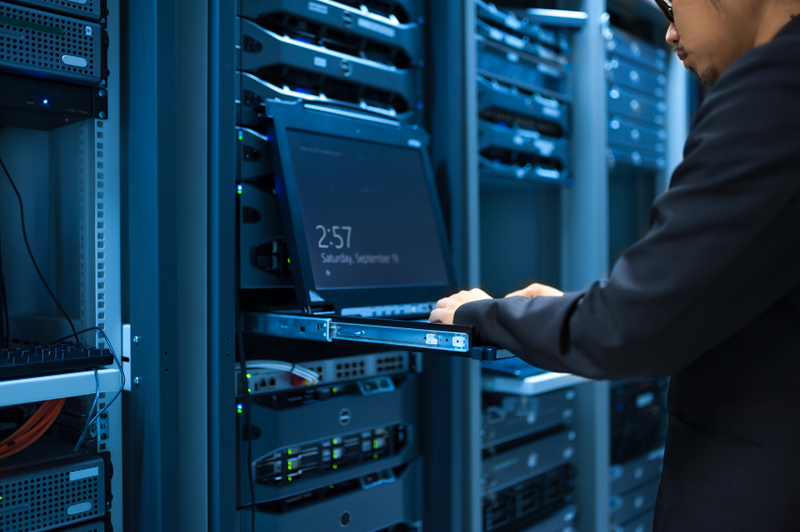 Professional data center providers are capable of operating state-of-the-art facilities that sport sophisticated backup systems to keep things running, even if an outage occurs. Most data center providers will also be able to extend Service Level Agreements (SLAs) that guarantee high levels of availability. Not having to worry about the technical aspects of data center and IT infrastructure uptime, along with being able to reassured of the low risk of downtime promotes more focusing on accomplishing corporate goals, applications and supporting the business. Cost reduction may be the big initiator, but there’s much more to this trend. Compliance, improved resilience/uptime, cloud connectivity, scalabilty and flexibility, expertise shortage, and reducing risks are promoting the growth of colocation data centres too. Keeping data center operations in-house may continue to work for some, but if you’re even just starting to see that your needs have changed then it makes sense to take the bull by the horns and get it done sooner rather than later. Most of us that long understood that while donuts are decidedly tasty, they’re equally as surely detrimental to anyone who could stand to lose a little around the middle. But it would seem that our understanding of donuts now needs the be extended beyond baked goods. donut domains are actually one of the hottest new developments in the domain name industry, and they don’t fall into any sort of a ‘moment on your lips, lifetime on your hips’ category for tasty but terrible sweets. Here at 4GoodHosting, we’re not unlike any other leading Canadian web hosting provider in that we’re very much aware of donut domains. The average person, however, probably isn’t aware of them even though they’ve likely seen them often before as they’ve explored the web. We’re a long way from the days when .com was the only domain extension to be had, and it seems there’s another addition to the selection. Today we’ll look at premium Donuts domains. What are they, Why are they used, and how do you get one – without even the slightest reference to dietary concerns. Go back to the beginning of the internet and websites have since either been part of a top-level domain or TLD. The TLD is the last part of the website’s address, and of course the most well known and popular TLD has been .com. The majority of the biggest websites on the planet use this TLD, and our home site here is no exception. Specific country codes are the other popular TLDs, like .co.uk, .co.za in South Africa and .ng in Nigeria. 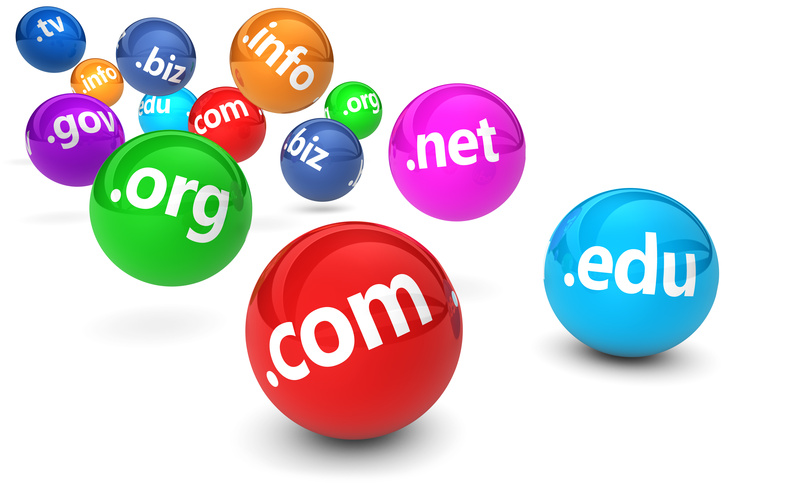 WE also have other popular and frequently seen TLDs like .org, .net, and .edu. Not surprisingly, all domain names are NOT created equally. Domain names that fit together especially well with their TLD are Premium Donut Domains, and they are very much in demand. Because they’re so sought after, they also have more value. They’re more expensive, and less frequently available. The company behind Donuts domains – Donuts of Belleville, WA – turned to industry veterans to decide what domain names would have more value, and therefore be designated as premium ones. Some were memorable words, others were more simply 1, 2, or 3 character domains, others still were designated as such for really no obvious reason. Why go with a Premium Donuts Domains? The primary advantage of premium Donuts domains as compared to standard web addresses is distinctiveness. Choose the right premium Donuts domain and your web presence will be much more memorable, shareable and noticeable. Business owners that can identify a Donuts domain TLD that’s relevant to their industry should consider matching the prefix and the TLD to make one that’s truly relevant and powerful in its scope. For example, running an animation studio with the web address animation.games? It’s easy to see the value that would have. However, change is always slow to become thorough. The domain industry still places inordinate value on the .com TLD, but with new domains being released all the time by Donuts it’s likely that wholesale change is inevitable and likely soon on its way. As of now premium Donuts domains are relatively easy to obtain and may well be underpriced compared to their future value. There are going to be individuals who will make a profit selling them later on. It certainly won’t hurt to give some thought to investing in premium Donuts domains while other people are thinking about .coms. Is possible in one of 3 ways. The right one for you will be determined by a) how badly you want one, b) your budget and c), its availability. The most effective way to claim them is when they’re first rolled out, although this is typically the priciest way to acquire one. There is the option of registering with Donuts to be notified about new releases, and get yourself in the priority queue for their release. The name for this first phase of release is Sunrise, and it’s when trademark holders can register their domain names before they’re made available to the public. This aim here is to prevent cybersquatting, and that’s definitely commendable. Donuts sets the price relatively high at this stage, but for many it’s worth it to secure a trademarked domain name. ‘Landrush’ is the next phase, also known as Early Access. That’s where people who have registered with Donuts can then attempt to the buy the domains they are after. The prices are at their highest on day 1 of the release, and then they drop every day that the domain isn’t sold. Yep, it’s pretty much a reverse auction pricing strategy. This is the best chance for anyone to get the domain they want. The price will be higher at the start, but how badly do you want it and how important is it to you that it becomes yours? Eventually each Donuts domains will be made available for purchase to everybody, and the prices are lower. If you’re interested, search the Donuts.domains site to peruse what is available and what is either not in existence (yet) or already owned. Then as a final step you can choose a domain purchase from which you’d like to buy them. You’ll never see donuts the same way again, and that’s perfectly alright. 2018 isn’t even at the quarter pole and the predicted trend of increase cyber attacks for they year is coming to actualization early on. The week past GitHub was the victim of the largest ever DDoS (Distributed Denial of Service) attack ever recorded, which topped out at 1.3 terabits – or 126.9 million packets per second. It preceded the pervious record break which came just a week before when customers of a US-based service provider received a 1.7 Tbps attack. This is the new reality of the cyber world, unfortunately. Us here at 4GoodHosting are as keenly aware of what this may forecast for the future as any Canadian web hosting provider would be, and – to put it plainly and right to the point for those of you not familiar with how the Web works – a DDoS attack makes it so that hosted websites are rendered inaccessible for would-be visitors. These recent DDoS attacks were based on UDP (User Datagram Protocol) Memcachedd traffic, Memcached being a protocol used to cache data and reduce strain on heavy data stores like a disk or databases. It lets the server inquire about key value stores that are intended to be used on systems which will not be exposed on public internet. What attackers do is spoof the IP addresses of UDP traffic, and then directing the request to a vulnerable UDP server. The server prepares the responses as it does not know the request isn’t legit. The information is then delivered to an unsuspecting host, and you have a DDoS attack. What happened at GitHub last week was its servers ceased to respond for a few hours, until Akamai was able to filter out the malicious traffic from UDP port 11211 – the default port for memcached). The conclusions was that because of memcached’s reflection capabilities, similar attacks were likely to follow with the high data rate. Further, it is believed that many other and smaller organizations experienced similar reflection attacks over this same time period, and again it seems there could be many more, potentially larger attacks in the near future. A marked increase in scanning for open memcachedd servers since the initial disclosure was noted as well. It is likely that attackers will adopt memcached reflection as their favoyrite sabotage tool because of its ability to generate such large and sweeping attacks. We can understand that despite the fact that the internet community is making concerted efforts to shut down access to the numerous memcachedd servers out there, the sheer number of these servers that run memcached openly is very likely going to be an ongoing vulnerability that attackers will choose to exploit. To be proactive, you can mitigate these attacks by blocking off UDP traffic from Port 11211, and the proceed to lock down the system to insulate yourself against being a victim of such attacks. Prior to March of 2018, the biggest DDoS attack ever detected occurred in September 2016 in Brazil, and peaking at 650 gigabits per second. These new memcachedd DDoS attacks are the first ones to exceed the terabit limit, suggesting that the extent of these new DDoS attacks have much greater reach and potential than previously was the case. With ever greater numbers of companies using big data, we’re definitely starting to see the benefits of their migrating to the public cloud. There are some challenges with it as well, but overall it would seem the good outweighs the not-so-good quite handily though, and the consensus seems to be that it is often a much more ideal environment for large-scale storage, remote access and all without the need for extensive physical infrastructure. Here at 4GoodHosting, in addition to being a leading Canadian web hosting provider we’re also equally as much of a cloud computing enthusiast as the rest of you. It’s hard not to be a fan of such a positive, game changing development in personal and business computing, and it seems that the shift to the public cloud is more sweeping every day. A recent survey from Oracle found that 80% of companies intend to migrate their Big Data and analytics operations to the cloud. Powering this decision was the success that these companies have had when experimenting with Big Data analytics. Consider as well that over 90% of enterprises had carried out a big data initiative last year and in 80% of those instances the projects were seen to be very successful. Further driving the public cloud are the many IaaS, PaaS and SaaS solutions that are now offered by cloud vendors, and the way they are so much more cost effective in their setup and delivery. One of the main challenges with having data in-house is that it frequently involves the use of Hadoop. Apache’s open source software framework has revolutionized storage and Big Data processing, but in-house teams have challenges using it. Many businesses are therefore turning to cloud vendors able to provide Hadoop expertise along with other data processing options. Tangible, immediate benefits are the number one reason for migrating. These include on-demand pricing, access to data stored anywhere, increased flexibility and agility, rapid provisioning and better overall management. Add the unparalleled scalability of the public cloud and it quickly becomes ideal for handling Big Data workloads. Businesses now instantly have the entirety of the storage and computing resources they need, and – equally as importantly – only pay for what they use. Public cloud can also provide increased security that creates a better environment for compliance. Software as a service (SaaS) applications have also made public cloud Big Data migration a more appealing choice for certain businesses. Almost 80% of enterprises had adopted SaaS by the end of last years, a 17% rise from the end of 2016, and over half of these use multiple data sources. The fact that the bulk of their data is stored in the cloud makes it so that it’s good business sense to analyze it there as opposed to going through the process of reverting to in-house data centre operations. Next up is the similarly obvious benefit of decreasing the cost of data storage. While many companies might evaluate the cost of storing Big Data over a long period to be decidedly expensive compared to in-house storage, technology developments are already reducing these costs significantly and that can be expected to continue. Expect to see vast improvements in the public cloud’s ability to process that data with much larger volumes and at faster speeds too. The cloud also enables companies to benefit even further by leveraging other innovative technologies – machine learning, artificial intelligence and serverless analytics – to name just a few. And there is some urgency to get onboard with this, as companies who are slow to migrate to Big Data in the public cloud will likely be quickly at a competitive disadvantage. Migrating huge quantities of data to the public cloud isn’t a breeze, however. Integration is one of the biggest challenges. It can be difficult to integrate data when it is spread across a range of different sources and many find it challenging to integrate cloud data with data that is stored in-house. Workplace attitudes can factor in as well, and that can be anything from internal reluctance, or incoherent IT strategies to other organizational problems related to moving big data initiatives to the public cloud. Technical issues are less common, but they can exist as well. The most common of these are data management, security and integration. It is important to plan ahead before starting your migration. Before moving big data analyses to the public cloud, it is advisable to cease your investment in in-house capabilities and instead focus on developing a strategic plan for your migration. This plan should begin with the projects that are most critical to your business development. Moving to the cloud also presents the opportunity for you to move forward and make improvements to what you already have in place. Don’t plan to keep your cloud infrastructure as it currently is. You now have the ideal opportunity to create for the future and build something superior to your current setup. Take this chance to redesign your solutions taking all that you can from the cloud; automation, AI, machine learning, etc. You’ll also need to decide on the type of public cloud service that is the best fit for your current and future needs. Businesses have plenty to choose from when it comes to cloud-based big data services, and these include software as a service (SaaS) infrastructure as a service (IaaS) and platform as a service (PaaS. There’s the option as well to get machine learning as a service (MLaaS). The level of service you decide on will be dictated by a range of factors, like your existing infrastructure, compliance requirements, and big data software, as well as the level of expertise you have in house. Clearly there’s much pushing the migration of Big Data analytics to the public cloud, and it does offer businesses a whole host of benefits – cost savings, scalability, agility, increased processing capabilities, better data access, improved security and expanded access to technologies. Machine learning and artificial intelligence are at the forefront of those technologies, and the premise of their incorporation is decidedly exciting for most of us.